"Kay is very perceptive, intelligent and industrious. Does not waste her time on showing you houses that will not be of interest to you, based on what you told her you would be interested in buying. She is an interesting and personable sale lady." "Joe was recommended to us by our kids who bought a couple of rental properties with him previously. We were moving from out of state and needed to look at some houses over the holidays...Joe set them up, making looking, buying and closing painless and efficient. We'll use him again for our next purchase and would highly recommend him." 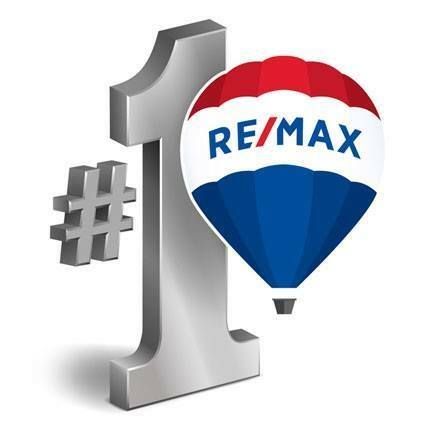 "I would like to thank Re/Max and let you know I was very pleased with the service I received. The agent I chose was Connie Hamilton. The reason I chose her as my agent was that she was so energetic and had a positive attitude. She was very anxious to do anything possible to help me sell my house and locate another in a very short time. It was a great pleasure to work with Connie, she is great! She was very professional and very likeable as a person. Connie is a great asset to your company. I would rate the service I received as very exceptional in every aspect." "We purchased our first home with Emily. As a first time home buyer I was unsure of what to expect and was just completely nervous. Emily was so patient and understanding with my concerns no matter how big or small. Every question I had was answered with no hesitation! She went out of her way to make sure I was getting correct information from anyone I had to deal with about the house. I felt that We Sell Oklahoma had my family's best interest in mind and wasn't trying to make a quick buck off a sale! The best part was Emily made this process the easiest it could be! Thank you to everyone at We Sell Oklahoma!" "I have worked with Joe in the past his integrity, attention to detail and exceptional customer experience is what makes him great to work with. He is also a heck of a nice guy. I highly recommend Joe for your real estate needs." "Kay has been incredible to work with. She always goes the extra mile and has been helpful to me even after closing! I also love the joy she wears daily!" "Thank you so much for all time and effort you put in for me looking for my new home. Looking for a new house is supposed to be time consuming and sometimes a hassle, but you made it soooo FUN! Finding the right homes for me to look at saved me so much time too. I almost wish that I could have had even more time to look, but I think about 30 houses in 4 days was enough, even though I knew you would continue to look for me. I love my new home and it fits me and my pooches perfectly. You know what I needed and found so many homes that would have worked for me (3 car garage, fence, pool, 4 bedrooms, etc….). You are the best and I have already recommended you to my friends because then you can make me look good! Thanks again for so much fun." "I may be relocating to Oklahoma City. As someone who has never been to Oklahoma, you can imagine how difficult it is to try to get the lay of the land in just a couple hours. We live on the east coast so i did not know what to expect when we landed at Will Rogers airport. Emily and i touched base before the trip and she definitely tried to assess what my family was looking for. Before we went out, she sent me a list of several properties, as well as restaurant recommendations which really came in handy. Emily and Dirk picked us up at our hotel, right on time. They showed us around the city and surrounding area, as well as several homes. They were very professional and. Attentive, and made the experience fun. We walked away with a high level grasp of the area and options. I appreciate their time and guidance. Emily is a native of the area and both she and dirk were a pleasure to spend time with learning about the city." "Kay walked me through every step of the process and was very patient and so kind and knowledgeable about the entire process. She made me feel I was with the right person because she was so experienced." "Thank you so much for all your help and hard work. You really went the extra mile and we wanted you to know how much we appreciate it." "Joe Forrest is one of the most trusted professionals in OKC ... I have worked with him in the 50-Plus industry for over 15 years and he could not have more integrity!" "Emily was professional and Knowledgeable about real eastate market in OKC. She listened to me with patience and understood what I was looking for. As a result, Emily guided me to find the perfect home. I highly recommend Emily to anyone who is looking for an agent because she will deliver and might even help you enjoy the process!" "Kay was outstanding with all my needs on the close of my home. When problems came about she was there to solve them. She knew the right people to help me out. Word’s can’t say how I feel about Kay! Just love her so much for all she did for me. Thank you."